As a little boy, Vannara Be grew up hearing about the torture inflicted on his relatives by Pol Pot's Khmer Rouge in Cambodia. Two of his father's siblings were murdered, his grandmother lost an eye and his father was left with severe psychological mental scars. But almost 30 years since that reign of terror, 22-year-old Be has become the first Cambodian-born competitor to represent Australia at the Commonwealth Games. 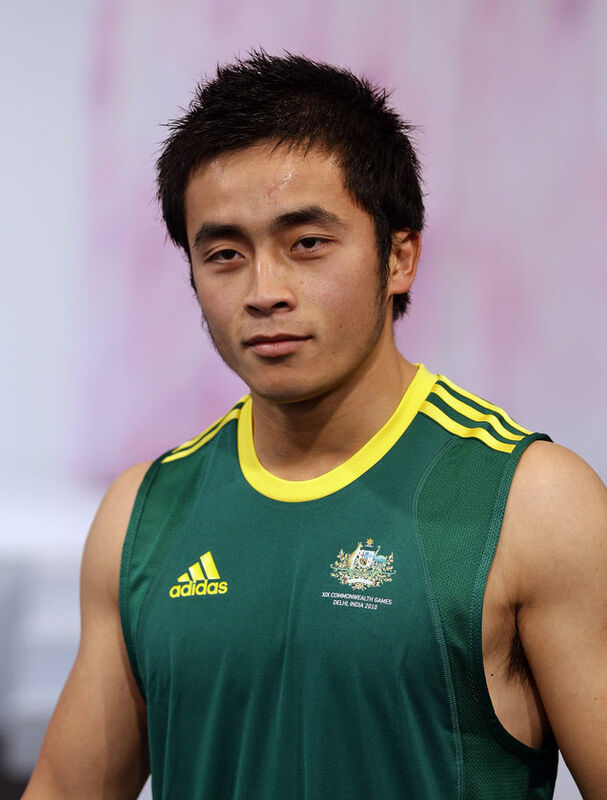 The diminutive weightlifter, who lived with his parents and three siblings on the outskirts of Phnom Penh until he was 10, only received his Australian citizenship late last year. Not until today, at a press conference in Delhi, did he learn he was the first Cambodian to wear the green and gold. "I just found out today," he said. "It's pretty nervous. Suddenly you are representing your country." His family's first link to Australia came through one of his uncles, who fled to the country on a boat in the 1980s. His uncle was granted refugee status and eventually persuaded Be's father to come to Australia for a short work trip at a farm in Victoria. The owner of the farm offered to sponsor him to return on a working visa. The whole family arrived in Australia in 1998, but it was only last November that Be received his citizenship. He said he took up weightlifting to get out of school and had never really had the ambition to represent Australia. "As a little kid you go to school. To get out of school you go play different sports," he said. Be, who will be competing in the 62-kilogram weightlifting competition, said he can hoist 148 kilograms. He credited some of his physical strength to his early days working with his mother in her Cambodian shop and later with his father on the farm.